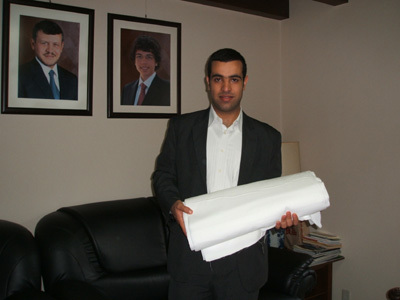 Embassy of the Hashemite Kingdom: We presented cotton sheeting for the painting. Embassy of the Hashemite Kingdom: We visited the Embassy of the Hashemite Kingdom and presented cotton sheeting for the painting to Third Secretary/ Consul Mr. Ali Al-Huneiti. Embassy of the Hashemite Kingdom of Jordan: We were given the consent to participate in this project. ■ Place The United Kingdom London Chiddingstone Castle Find more. ■ Place Green Arena, Hiroshima Prefectural Gymnasium, From 11am (10am Open) Find more.